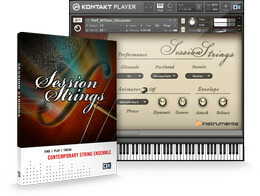 Native Instruments has announced the release Session Strings, a versatile virtual string ensemble for KONTAKT 4 and the free KONTAKT PLAYER. Brought to life through the advanced functionality of the KONTAKT platform, SESSION STRINGS provides charismatic, highly expressive acoustic string sounds for pop, soul, R&B, disco, house and other contemporary music styles. 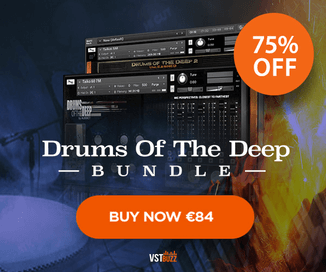 SESSION STRINGS recreates a string ensemble comprising four violins, three violas, two celli and two double basses, captured and produced in one of Germany’s most renowned recording studios by sampling expert Thomas Koritke’s new sound design house e-instruments. All recordings were taken from exclusive instruments from the 18th and 19th century, played by top musicians from some of the finest European orchestras, resulting in outstanding tone and articulations on the highest level of musical virtuosity. 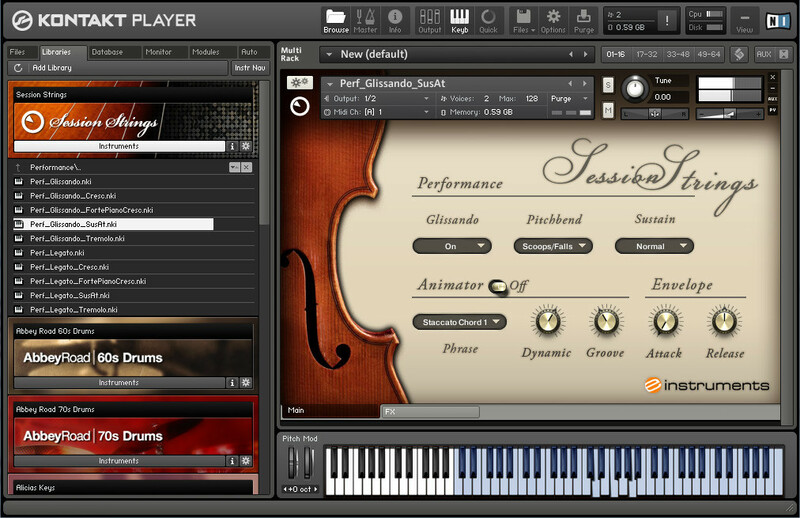 By fully utilizing the advanced features of the KONTAKT platform, SESSION STRINGS puts the full expressive arsenal of a world-class string ensemble at the fingertips of the user. The individual instrument groups are mapped conveniently across the keyboard, with intelligent legato and glissando based on dedicated samples. Easily controllable falls, swoops and crescendo variations allow producers to create soulful and dynamic string licks with ease. The authenticity and creative value of SESSION STRINGS is further enhanced through the unique and highly versatile “Animator”. This powerful function can be engaged seamlessly during play to transform incoming notes into virtuous staccato, spiccato and pizzicato chords and arpeggios, with the timing and groove easily adjustable by the user, and while maintaining natural legato articulation at the same time. An integrated studio-grade convolution reverb also provides a variety of completely realistic room ambiences. SESSION STRINGS also provides a full set of optional “Motown versions” for all included sounds, utilizing a special sonic treatment that authentically recreates the distinctive and highly sought-after vintage string sound of the legendary soul recordings from the 60s and 70s. Includes 48 Instruments: 10 Standard Performance + 10 Motown Performance (combining articulations such as Sustain, Falls, Scoops, Staccato, etc); 14 Standard Individual + 14 Motown Individual (single articulations per patch). 1,65 GB (equals 2,3 GB of uncompressed samples). Session Strings is available to purchase as a download for $119 USD / 99 EUR.